ImagineGirls – VR girls from age of the Singularity! VR girls from age of the Singularity! All of 3 girls are now updated! With whole new costumes, the model data is 100% Ported to Blender, and now more useful to further editing/app developments! 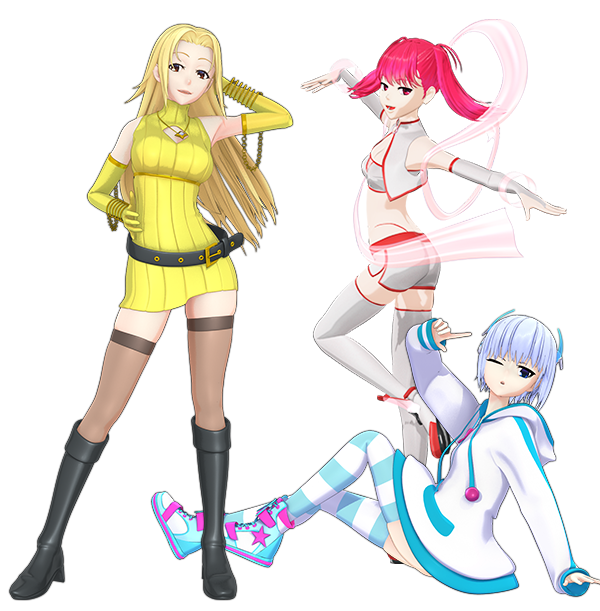 You can use ImagineGirls 3D model sereis in MMD, as well as for development of 3D/VR applications for free. For details, refer to the "ImagineGirls User License". They are three sisters who've traveled from a post-singularity era. They are digital beings with no corporeal forms who live in cyberspace. This is the basis for the three ImagineGirls characters, available to you all to use as you please! Credits go to INO for the character design and Kakomiki for the 3D modeling. The 3D model comes in PMX format, ready to be used in MMD, as well as mqo (metasequoia) format for use in modeling applications. The youngest of the sisters, she is petite and composed. She resembles an android. 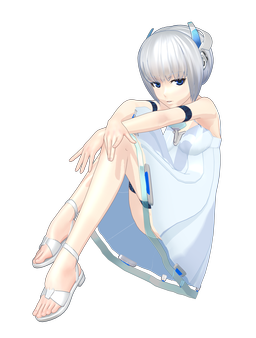 The second sister, she is cheerful and energetic. Tends to act before she thinks. The oldest sister. Her mature, gentle smile is her biggest charm. Everything is up to your imaginations! MMD (MikuMikuDance) is a famous UGC application. You would love to let ImagineGirls dance in it! We are also distributing model files for modelers. 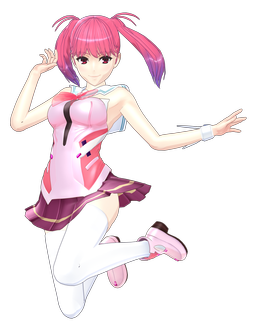 You can edit ImagineGirls 3D models and/or make your own characters from them. You can develop your own applications by using ImagineGirls 3D models. Please use FBX files where we distributing at the download section. ImagineVR is VR app distribution platform. We are welcoming anyone who want to create and sell brand-new VR applications. Get latest updates for ImagineGirls!